The Certification in Infection Prevention and Control (CBIC) is an exam that’s administered by a computer, five days a week at over 140 assessment centers in North America. There are no pre-scheduled testing dates. Once you’re confirmed eligible for the CBIC certification, you will receive notice from the testing agency including instructions on how to schedule an examination appointment. Once certified, certification is valid for a five-year period. With a CBIC certification, you can start a lucrative career as an infection control nurse, helping doctors and nurses control certain situations. You can get started today by following the list of instructions below! 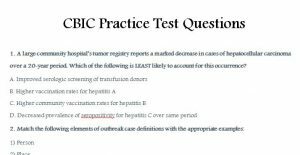 To download your free copy of the CBIC Practice Test Questions file, you can click the link at the bottom of this page. Next, you will need to print the sheet for your own practical use. To do this, scroll back to the top of the page and click “File” then “Print” from the list of options given. 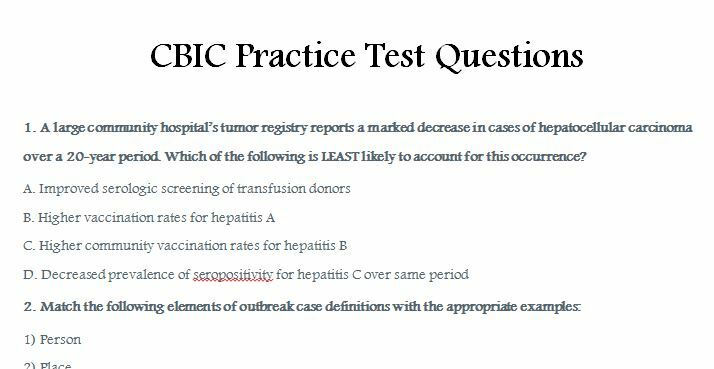 When you have your complete copy of the template, you can scroll down the page until you find the first question in the CBIC Practice Test Questions. Try not to look at the answers given at the bottom of the page and focus on answering the questions given on your own. Simply circle them with your pencil or pen until all of them have been completed. They are all multiple choice so take your best guess if you don’t know the answer to one of the test questions. When you finish with that, you can see how well you did by finding the last page of the template and seeing the answers to each test question. 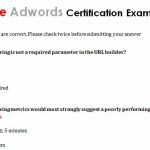 These answers are given in full detail so you know how and why these are correct. 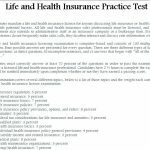 This template gives you all the tools necessary to complete the CBIC test.